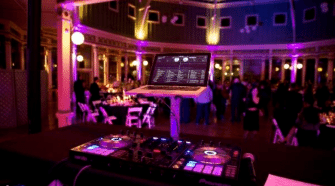 Q&A Is It Okay To Have My Wedding Without a Bridal Party? Is it okay to have my wedding without a bridal party? It is absolutely, 100% completely okay to have a wedding and nix the bridal party. This doesn’t mean you don’t love your friends and family, there are just a lot of reasons why you may go without one! 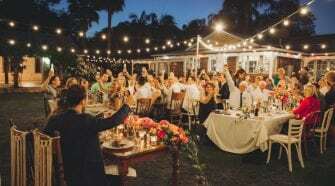 It could be a personal decision (too hard to decide between loved ones) or a matter of budget (you cut a lot of expenses going this route), you need not fret if you envision a wedding that includes just the two of you at the altar. Maybe you’re one of the lucky ones with a host of besties and some sisters too that are just absolute rockstars in the friend department. But, going with a double-digit number at your side can no only sound stressful, it really will be! It’s okay to not pick instead, and just celebrate all the fab festivities of a wedding, without the pressure of the titles. Also, it depends on how casual or formal you want your day to be. 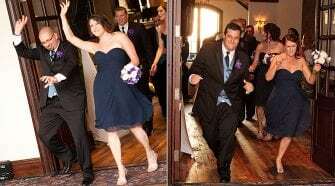 If this is a second wedding or your first but you want something that feels a bit looser and less stuffy, it’s okay to throw caution to the wind and go without the normal traditions. 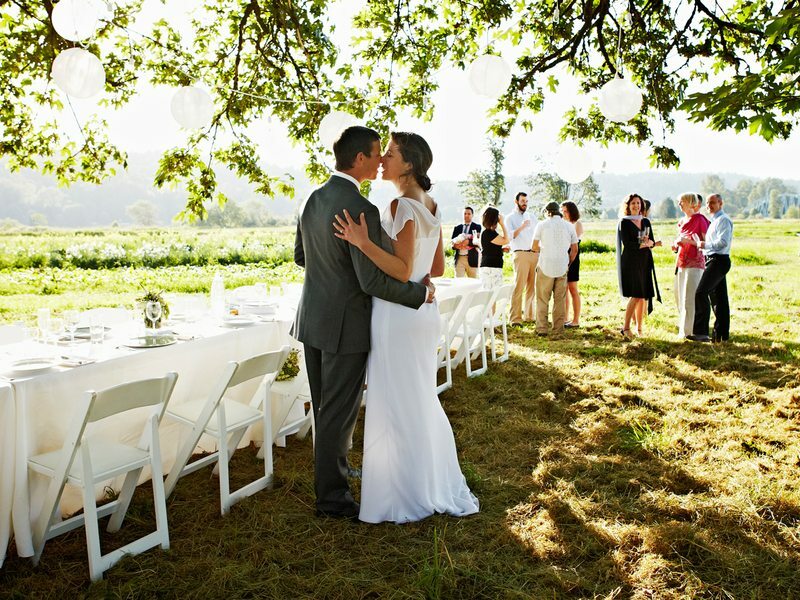 “Like many wedding traditions, this one is not for everyone — and that’s okay. If you’re thinking you might want to forgo this part of your planning, too, here are some solid reasons why you should follow your instincts. Honestly, it’s already crazy-making enough to find your own gown. Picking one (or a few) that has to work on an entire group of women, all with different taste and body types can cause anxiety that’s not just necessary. Also, have you seen Say Yes to the Dress: Bridesmaids? Unless your group of girls is made up of completely mature, selfless, opinion-less, drama-free individuals, someone is going to end up in tears or feeling resentful. (Probably you.) As one of our favorite modern proverbs states: Ain’t nobody got time for that. It’s a financial burden on you — and them. If you’re looking for a way to cut your budget down, getting rid of your bridal party is a great way to do it: You can seriously chop down the florist costs (by not having to order extra bouquets and boutonnieres) and you won’t need to buy gifts or extras for your pals. “Whatever your reasoning, it’s perfectly fine to skip the bridal party! Still want to honor the important people in your life without having them stand up beside you in matching outfits? Here are seven ways to pull of an alternative bridal party. Call out important people in your program, on your website, or in your speech. Give your besties, siblings, cousins, etc. a special shout-out and let them know they mean the world to you. Ask your nearest and dearest to wear a certain color. 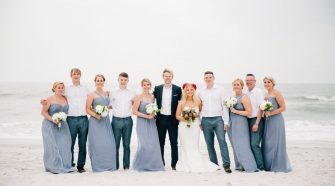 Instead of having a bridal party up at the altar in matching attire, ask your “special people” to wear a certain color so they stand out at the wedding. “Without bridesmaids, you do not have to worry about deciding between your friends and feel like you’re ranking them. No one’s feelings can be hurt because they didn’t make the cut if there was no cut to being with! 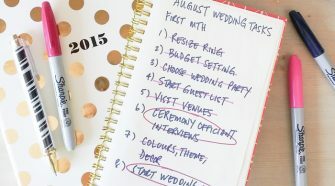 The overall stress levels surrounding the day can also decrease without a bridal party. There’s no tension about someone not following through with their promises, and no one will call you a bridezilla due to demands you felt were reasonable. You can trust everyone will wear a guest-appropriate ensemble rather having to wrangle everyone and make sure they purchased or rented the outfits on time. Generally, it allows your closest friends to simply enjoy the day. Is the Bridal Party Responsible For Paying For Their Attire at a Destination Wedding? Should Grandfathers Wear Tuxes if They Aren’t a Part of the Bridal Party? Difference Between A Bridal Shower & Bachelorette Party? Do Both Sides of the Family Host Bridal Showers? To Invite or Not To Invite Children to the Bridal Shower?